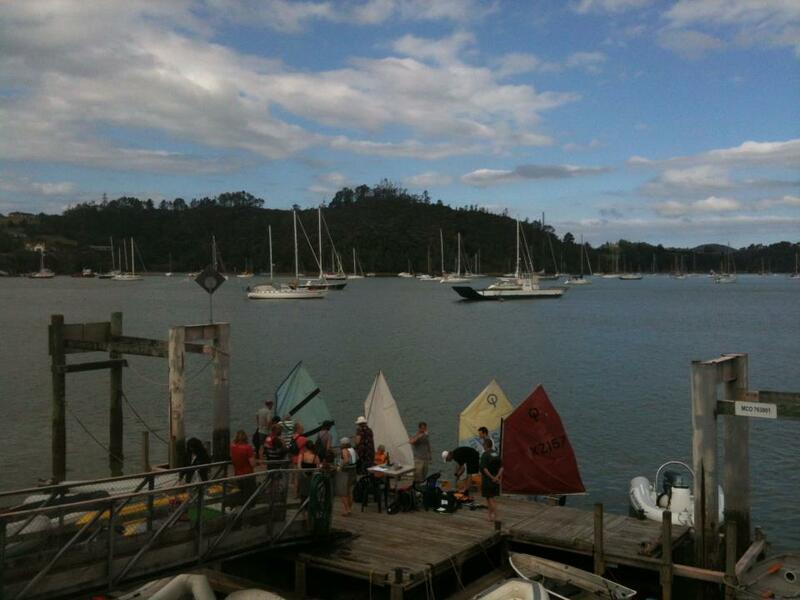 A record 37 skippers turned out for OCC’s biggest Match Race Series of the year. There were huge expectations as to who would get through to the semi finals, with some big surprises as to who didn’t make it through. In the end, it was a “frantic” race to the finals in the first ever “3-boat-semi-match-race-semi-final” between the Frantic team, Jenny and Rob Galley and Rob Krebs. Team dynamics on Frantic may well change after Christmas, with Rob G drifting out back and not making it through to the Grand Final. All credit goes to Jenny – the first female skipper to take out this huge event, building on Rebecca’s efforts last year. This year Rob K took second place, and Rob G and Mike Rivington placed third equal. Explore NZ supplied prizes of day cruises on Lion NZ, along with Explore NZ t-shirts and other goodies, which were all greatly appreciated. The “Wet T-Shirt prize” went to Graham from Dreamaway for an ‘upset’ during the race – one to watch out for when we put together a “Big Splash” event . 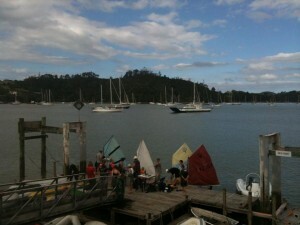 Big thanks to Romeyn Woodcrafts for the spot prizes of Kauri Table Mats and kauri pens engraved with “OCC Opti Race 2012”. Thanks to Lorraine again as our very efficient Race Officer for the day, Opti rigging specialist Rebecca, the course advisor John G, chase boat safety person Jono, Vera the Official Photographer, the two Robs, Luke and all those others who helped on the day.